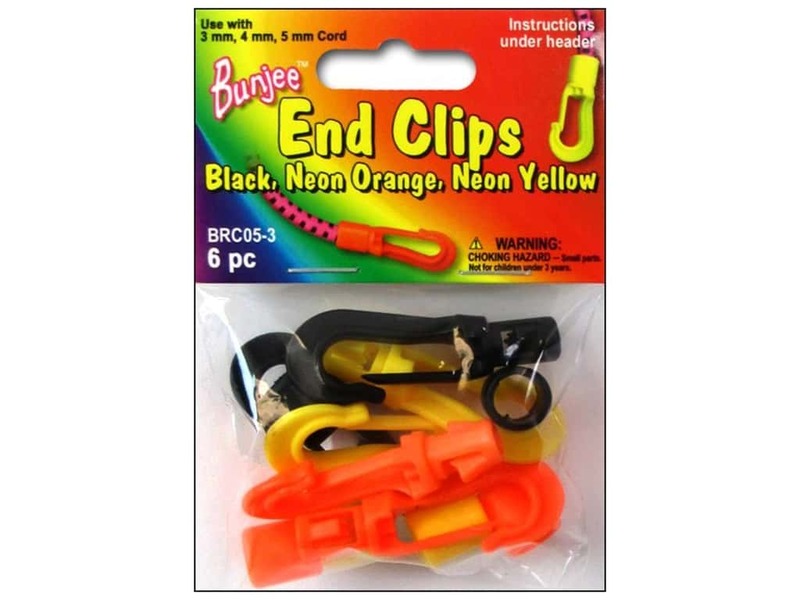 Description: Pepperell Bungee Cord Bracelet End Clips Black/Neon Orange/Neon Yellow. 2 each of 3 listed colors. For use with 3, 4, and 5mm cord. 6pc.